Despite an enduringly nostalgic affection for Kevin Costner’s Field of Dreams, I have little or no affection for baseball: it’s just rounders for boys. And despite having read Freakonomics, I can hardly claim a great interest or understanding of economics. 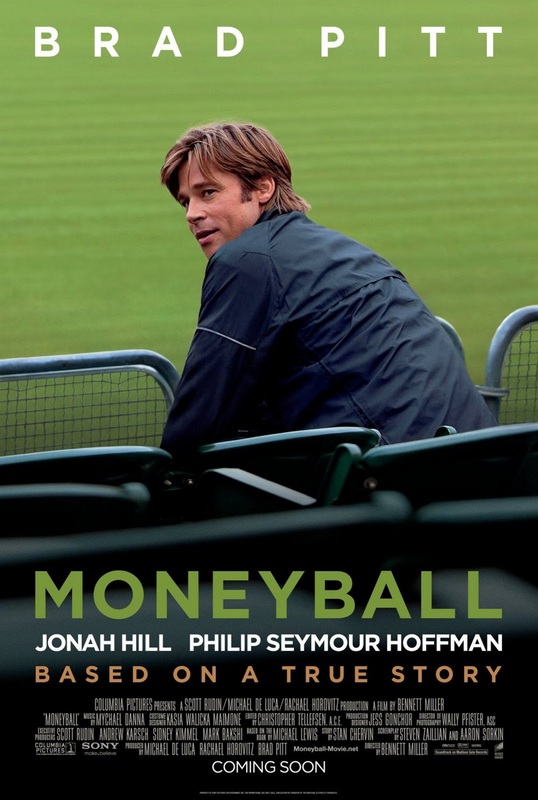 So Moneyball, a film about the economics of building a successful baseball film ought to have been a huge turn-off. But it wasn’t. It was brilliant. Brad Pitt (actually starting to look his age) plays Billy Beane, general manager of the Oakland A’s. They’re a small-time team, utterly incapable of competing with the financial muscle of powerhouses like the New York Yankees. At the end of the 2001 season their team is dismantled as richer teams cream off their talent on lucrative deals. They are, as Beane bemoans, “organ donors to the rich”. A chance encounter with a softly-spoken Yale economist named Peter Brand (Jonah Hill) convinces Beane to abandon the conventional wisdom of baseball’s established voices, rip up the rule book and apply some new principals to scouting and recruitment. With Brand offering insight, mathematics and complicated spreadsheets, the two set about applying the principals of economics to their sport. Eschewing the tradition of employing star players on huge salaries, Beane and Brand decide to look at combinations of talents rather than individuals, gamble on those overlooked by their rivals (ageing, unconventional and injured players) and apply commonsense to a game governed by gut instinct. It’s a compelling tale – not least because it’s entirely true. Pitt is charismatic in the lead role, Hill is subtle and naturalistic, the supporting cast are uniformly excellent and the script is tighter than a nun’s knickers. There’s very little actual sport portrayed, and the fact that the rules of baseball are complicated and labyrinthine is irrelevant. The best scenes all concentrate on character: conferences full of conflict as Beane and Brand impose their values on the old-school wise-asses; a tautly scripted telephone exchange between Beane and numerous club chairman as they wrangle over players; a tense stand-off between Beane and his wife’s new lover. It’s a film which ought not to work in the UK. It’s about a sport nobody cares for, there’s no action to speak of and there’s an awful lot of men talking in rooms. But to boil it down like this is missing the point. 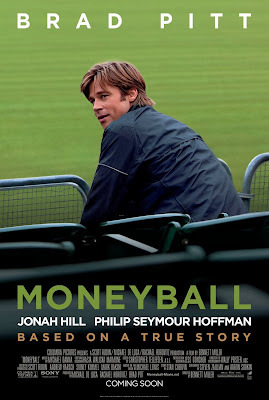 Like the Oakland A’s, Moneyball is greater than the sum of its parts.